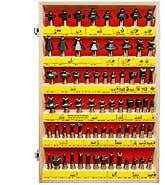 66 essential carbide tipped bits. Wood box can be wall mounted. 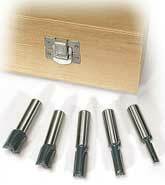 45 essential carbide tipped bits. Wood box can be wall mounted. 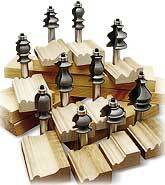 An incredible price for 30 carbide tipped top quality router bits. 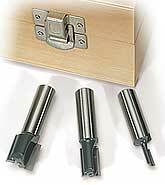 Includes four carbide tipped cove router bits (with radius 1/8", 1/4", 3/8" and 1/2") and wood box. 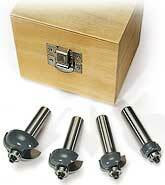 Includes four carbide tipped router bits (with radius 1/8", 1/4", 3/8" and 1/2") and wood box. 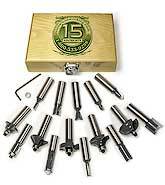 Includes five carbide tipped router bits: 1/4", 3/8", 1/2", 5/8", 3/4", and wood box. 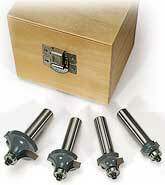 Includes three carbide tipped router bits" 13/64"-5.2mm, 31/64"-12.3mm, 23/64"-18.2mm and wood box. Make classically styled raised panel door & drawer cabinetry. 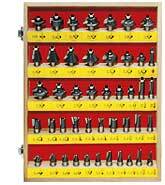 Make "beautiful by utility" Shaker raised panel door & drawer cabinetry. 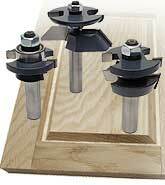 Make simple but classic "beautiful by utility" Shaker raised panel doors. 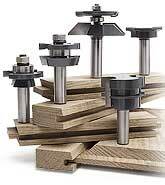 Get all ten carbide tipped MLCS Molding Plane Profile router bits and save. 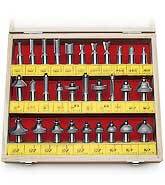 With wood storage box. 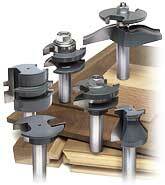 Nine piece kit makes six different rabbeting cuts. 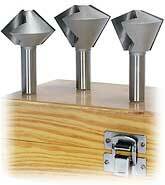 Includes a wood box. 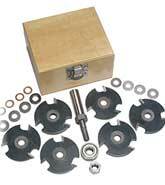 Includes a 1/2" arbor, 6 slot cutters and wood box. 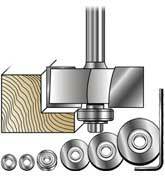 Make grooves from 1/16" - 11/16".